Our large reference site on Lung Cancer is finally here. All the posts below are constantly edited and updated with all the latest Information. 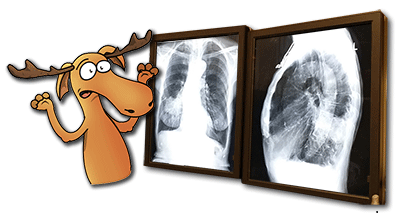 1D – Introduction to Lung Cancer Screening. 1E – Evidence to support Screening. 1K -Future Developments in Lung Cancer Detection. 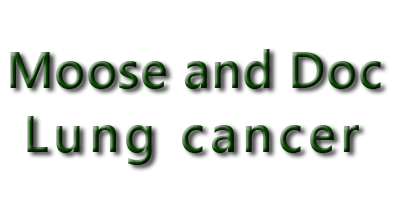 2B – Who should be Screened for Lung Cancer? 2D – Positive CT Scan – What Happens Next? 2G – Imaging in Advanced Lung Cancer. 3A – Introduction. Anatomy of the Normal Lung and the Smoker’s Lung. 3B – The Solitary Pulmonary Nodule or ‘Lonely Lump’. 3C – Models for Predicting Malignancy in Solitary Pulmonary Nodules. Please accept my apologies for the bare appearance of our index page but icnet.uk is undergoing deep maintenance. Yes, I am putting some of my own cancer research from earlier in my career onto the website. Because I think that it is highly visual and educational material. Hello, speaking of research Doc, I once did a study and one third of subjects were cured, one third of subjects died, and the third rat ran away. Halls.md: A huge, fun site with lots of information about Body Mass Index, Ideal Weight and Weight loss. All the posts are backed by scientific study and evidence. Breast Cancer Information site: A huge reference and information site on all aspects of breast cancer. Hypnosis and Neuro-Linguistic Programming (NLP): A new hobby of mine that ties in nicely with the desktop app that is Moose. Find out more about how Moose can motivate you below. The first half of Dr. Halls career was at the Cross Cancer Institute, in Edmonton, Alberta, Canada. Some of his research involved developing MRI techniques for breast cancer staging, of axilla lymph nodes and lymphadenopathy and internal mammary lymph node locations and sizes. Hopefully that will find it way onto this website here, in future months. Some very beautiful MRI images, if you click on those links above. On a personal note I would like to say Hello and Thank you for reading this far.